This blog marks the 9th now-bimonthly Atlas of Irish Mathematics blog with regional focus. Starting in June 2017, we've shone a light on people from Donegal, Wexford, Armagh, Limerick, Westmeath, Mayo, Belfast, and Wicklow. This time, it's Kerry's turn. This means we highlight both people who were born or reared in the Kingdom, and some staff members at IT Tralee, which morphed from the former Regional Technical College founded there in 1977. Included below are dictionary Dinneen, Alfred O'Rahilly who ended up serving as president of UCC, several meteorologists, and statistician Brendan Murphy who was a recent CIT president. Comments and corrections are, as always, welcome. As are more photographs of the forgotten faces from the past. Thanks to Paul Greaney (NUIG), Olivia Bree (SPD), Ray Bates (UCD), J.P. McCarthy (CIT), Aidan Kelly (Met Eireann), Eugene Gath (UL) and Des MacHale (UCC) for valuable input. Thanks to Nick Pippinger (Harvey Mudd) for clarification re: "potential function" origins. 1. Mathematician, physicist, astronomer, and inventor George Minchin (1845-1914) was born 25 May (as George Smith) on Valentia Island, Kerry. 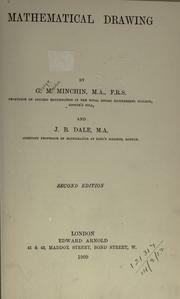 He was educated at TCD (BA 1866, MA 1870), adopting his middle name Minchin as his last name while there. Most of his career was spent at the Royal Indian Engineering College (aka Cooper's Hill) (1875-1906), on the outskirts of London, and at Oxford (1906-1914). He wrote books on statics, kinematics, and mathematical drawing. He was a photometry pioneer. While he is sometimes credited with the term "potential function", George Green had introduced that in 1828. 2. Lexicographer Patrick Dinneen (1860-1934) was born 25 December in Rathmore, Kerry. After earning a BA (1885) and MA (1889) in mathematics from the Catholic University of Ireland, he taught English, Irish, Classics and maths at many schools, before authoring the landmark Irish-English dictionary Foclóir Gaedhilge agus Béarla. 3. Mary Raymond (1864-1926) was born 14 September near Blennerville, Kerry. She was educated at Girton (earned BA 1887, but not awarded due to Cambridge policy on women). TCD later awarded her ad eundum degrees (BA & MA, 1906). She taught at Perse School (Cambridge), Howell's School (Llandaff), Brisbane Grammar School, James Allen's School (Dulwich) and Sydenham High School. 4. James Doody (1875-1950) was born 19 July in Lisroe in east Kerry, near Duagh. He earned an RUI BA (1897) having studied at Blackrock. He taught at St Kieran's in Kilkenny before becoming an inspector of national schools. 5. Michael Breen (1880-1923) was born 19 January in Brosna, northeast Kerry, near the Limerick border. He earned an RUI BA (1905) having studied at St Patrick's Drumcondra. 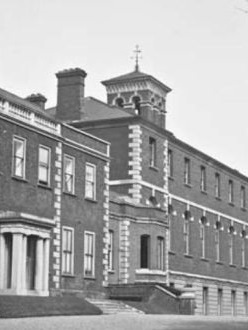 Soon thereafter, he was principal of the Mount Trenchard school near Foynes, Limerick. He died relatively young. 6. Mathematical physicist Alfred O'Rahilly (1884-1969) was born 1 October in Listowel, Kerry, and was educated first at UCC (BA 1907, MA 1908). He then studied at Stonyhurst College, in Lancashire, before returning to UCC (BSc 1912), later getting his doctorate from Pontifical Gregorian University in Rome (1919). He served on the staff at UCC for 40 years, including stints as registrar and president. He founded Cork University Press in 1925. His book Electromagnetics (Longman's Green and Company, 1938) was later reprinted by Dover. 7. 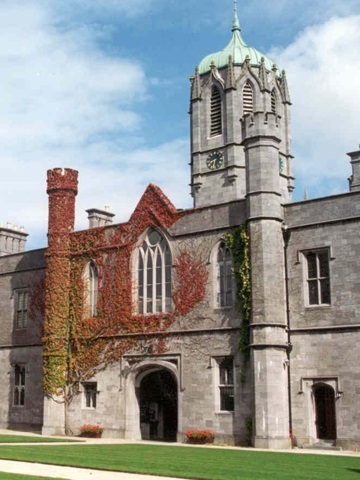 Horace Wilmot (1889-1974) was born 4 July near Watervillle, Kerry, and was educated at TCD (Scholar 1910, BA 1912). Nothing about his career is known. 8. Charles McCarthy (1892- ???) was born 9 November in Castleisland, Kerry, and was educated at UCD (BA 1912). Nothing about his career is known. 9. Charles Barrett (1903-1944) as born 13 Dec in Kilkenny city, and grew up there are in Tralee, Kerry. He was educated at UCD (BSc, 1926) and became a Jesuit. He taught at Mongret and then at Clongowes, dying relatively young. 10. 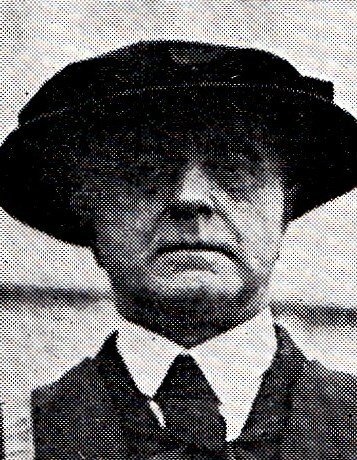 Richard Walsh (1913- ?) was born 17 January in Dingle, Kerry, and was educated at UCG (BA 1935, MA 1936, HDip 1937? 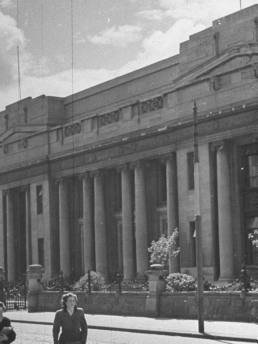 ), winning an NUI Travelling Scholarship there in 1936. Nothing is currently known about his career. 11. Meteorologist Gearóid Granville (1915-2000) was born 2 February in Ballyferriter, Kerry, and was educated at UCG (BA 1937). He worked for the Irish Met Service for 4 decades, taking a leave in the 1950s to visit Jerome Namias at the US Weather Bureau in Washington. 12. Redmond Walsh (1919-1997) was born 3 February in Coom, Kerry, and was educated at UCD (BA 1941, MA 1942). A Holy Ghost father, he spent the 1960s teaching philosophy and theology in Nigeria. 13. Patrick Donohoe (Pádraig Seosamh Ó Donnchadha, 1930-1985) was born in Rochester, New York, and grew up in Rathmore?/Gneeveguilla, Kerry. He was educated at UCC, earning an NUI Travelling Studentship in 1951, and then studied fluid dynamics briefly with M J Lighthill in Manchester before returning to Ireland. 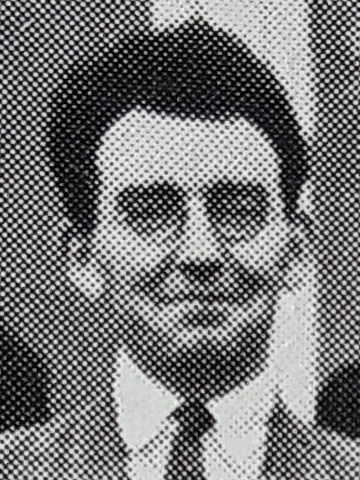 He mostly worked at UCC until 1960, when he moved to QUB, where he earned his 1967 PhD on "Aspects of the Boussinesq Approximation and of its Application to Thermal Convection in a Gravitational Field with Cylindrical and Other Geometries" under Norbert Dunwoody and Roberts, and taught until his relatively early death. 14. 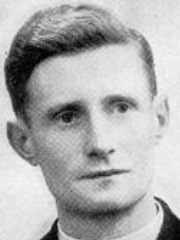 Maurice Whyte is believed to have been born in Kerry circa 1933. 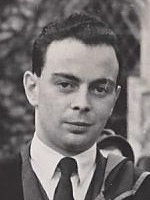 He was educated at UCG (BA 1954). Nothing about his career is known. 15. Brendan O'Shea was born in Listowel, Kerry. He was educated at UCG (BA 1964, MA 1965) and at Royal Holloway, where his 1971 PhD on "Algorithms for the Solution of Systems of Coupled Second Order Ordinary Differential Equations" was done under Ken Smith. His career was spent at Kevin St, where he served as head of CS. 16. Michael F. O'Leary was born 6 December in Dingle, Kerry, and was educated at first at UCC (BA, 1964). He later switched to social anthropology earning masters and doctorate degrees in that field at Manchester (1974 & 1979), and also got an MA in developmental economics from Sussex (1985). From 1968 to 1978 he was a missionary priest, mostly working in Kenya. His career was spent as a consultant in (or concerning) east Africa, the middle east, and former Soviet states. 17. Meteorologist Brendan McWilliams (1944-2007) was born 7 August in Dublin and brought up in Waterville, Kerry. He was educated at UCC (BA, 1964) and soon joined the Irish Met Service, where he worked for over 30 years. He got an MBA from UCD in 1987, and finished his career with 6 years at EUMETSAT (Darmstadt). Some of his popular Irish Times "Weather Eye" columns were published in two books after his death. 18. 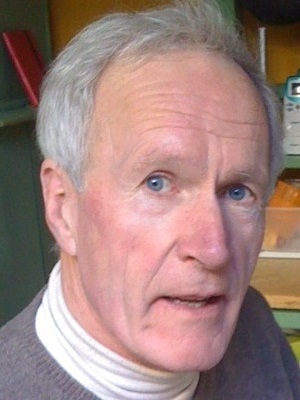 Séamus O'Shea was born in Gallarus, Kerry, and was educated at UCG (BSc 1965, MSc 1966) and Imperial College (PhD 1971). His thesis on "Sound Generation by Aerodynamic Flows" was done with Shôn Ffowcs-Williams. In the 1970s, he taught at RTCD Galway (now GMIT), then worked at Westinghouse in Pittsburgh, and finally spent a quarter century in the CS department at NIHE/UL. 19. David Walsh was born 9 September in Ballylongford, Kerry, and was educated at first at UCC (BA 1965, MA 1966), earning an NUI Travelling Studentship. His 1971 PhD on Hankel Operators and H^2 Functions" was done at Swansea under Finbarr Holland & Robin Harte. His career was spent at Maynooth, where his work in analysis included the study of approximation problems in several complex variables and integral inequalities. 20. 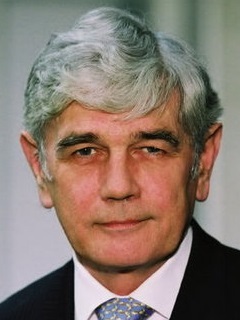 Physicist Eamon Harper was born on Valentia island, Kerry, and was educated at NUI (BA 1965) and Purdue (PhD 1972). His thesis on "A Theoretical Study of the Bound Three-Nucleon System" was done with Yeong Kim. His career started at DIAS, and since 1974 he has been at George Washington University. He is an expert on George Gamow. 21. Jim Chadwick was born in Tralee, Kerry, and was educated first at UCC (BA 1967, MSc 1968), winning an NUI Travelling Studentship. 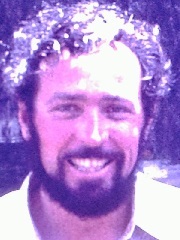 His 1972 PhD on "Bases of Projections in Banach Spaces with an Appendix on Non-Standard Analysis" from Australian National University was done under Ron Cross. His career has included stints teaching at UCC, TCD and then universities in Liberia, Zambia, South Africa, switching from maths to CS in the late 1990s. 22. Conor O'Reilly was born in Listowel, Kerry, and was educated at UCC (BSc 1967). Nothing is known about his career. 23. Aoileann Nic Gearailt (née Ní hÉigeartaigh) was born in Dublin and educated at TCD (BA, 1970). 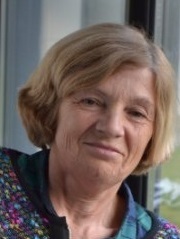 Her career included 3 decades on the CS staff at IT Tralee. Since then she has taught primary school in Castlegregory. She is also well known as a writer and publisher. 24. 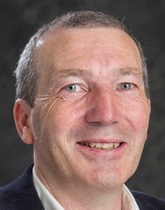 Statistician Brendan Murphy was born 3 May in Tralee, Kerry, and was educated at UCC (BSc 1972, MSc 1973, PhD 1981). His doctorate "On Classical and Other Methods of Discriminant Analysis and Estimation of Log-Odds" was done with Aidan Moran. His career was spent at CIT where he rose to the rank of president. 25. Statistician Mike Reidy was born in Kerry and was educated at UCC (BSc 1972). His career included stints at the CSO and CIE.
26. 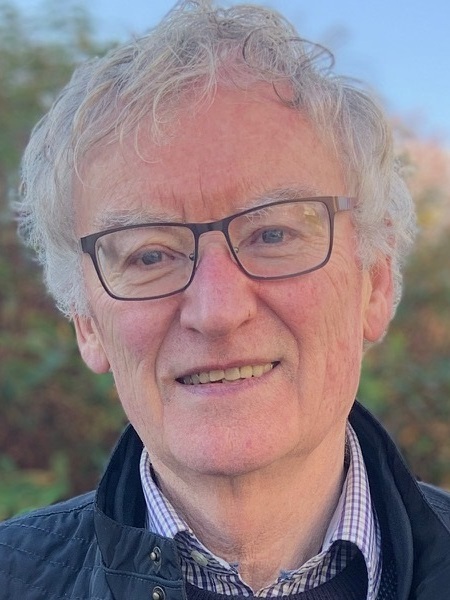 Applied mathematician Tim O'Sullivan was born in Farranfore, Kerry, and was educated at first at UCC (BSc 1976, MSc 1977), where he earned an NUI Travelling Studentship Prize. His 1982 Caltech PhD on "The Propagation and Arrest of an Edge Crack in an Elastic Half-Space under Conditions of Anti-Plane Shear: Analytical and Numerical Results" was done with Jim Knowles. Much of his career was spent at IBM. 27. Jerry J. Buckley was born in Tralee and was educated at UCC (BSc 1978, MSc 1979), where he earned an NUI Travelling Studentship Prize. His entire career has been spent in IT at UCC. 28. Oliver P. Murphy was born in Limerick city and was educated at Mary Immaculate College (BEd 1980) and later at UCC (MA, PhD 1995). His doctorate on "A Robust Model Fitting Technique" was done with Don Barry. 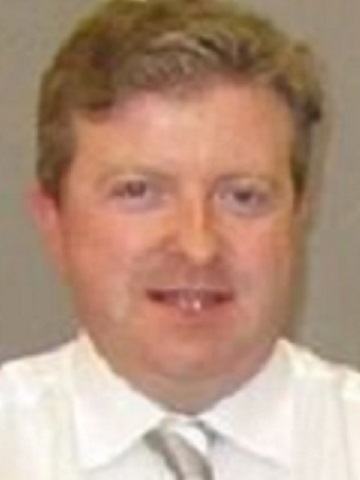 Since then he has taught both maths and business studies at IT Tralee, and currently serves as president there. 29. 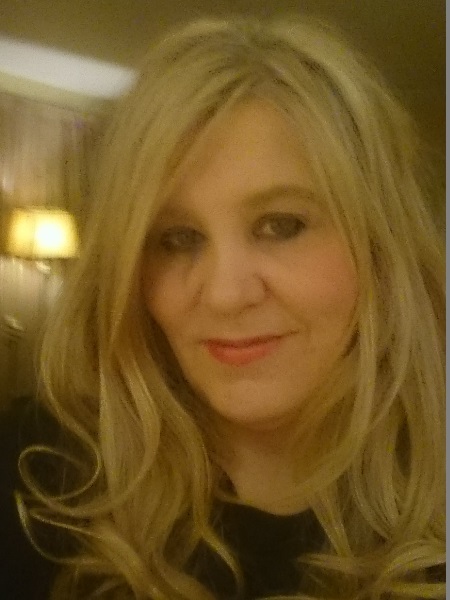 Cora Stack was born 22 June in Tralee, Kerry, and was educated at UCG (BA 1984), UCD (MSc by thesis 1987) and Reading (PhD 1994). Her doctorate on "Some Results of the Structure of the Group of Units of Finite Completely Primary Rings and on the Structure of Nilpotent Algebras" was done under Basil Corbas. She teaches at the Institute of Technology Tallaght. 30. 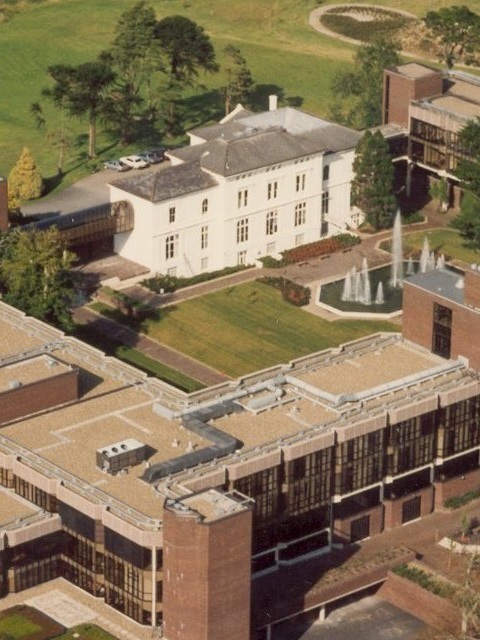 Tom P. Moloney was born Kerry and was educated at NIHE/UL (BSc 1984?, PhD 1989). His thesis on "Decomposition of Soliton Solutions" was done with Frank Hodnett. He later became an actuary. 31. 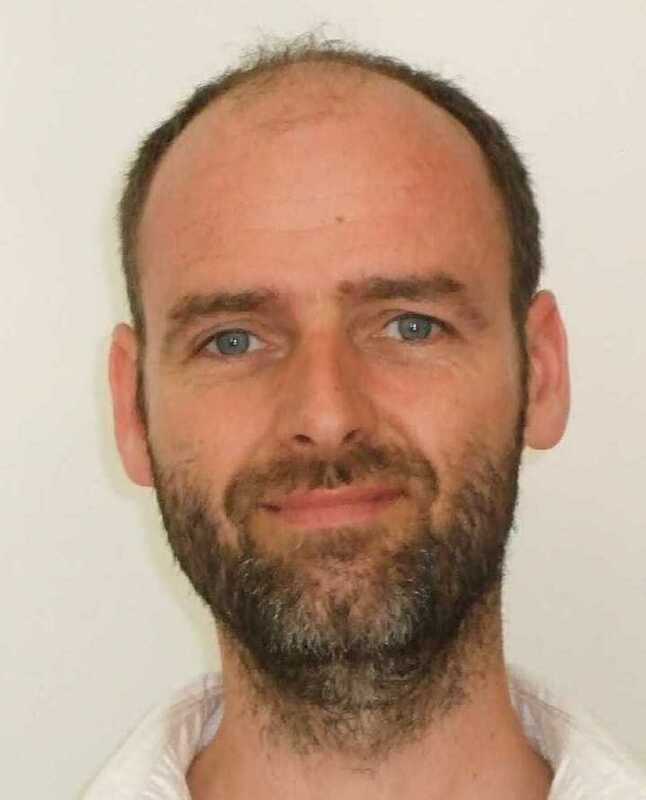 Brendan Guilfoyle was born 7 December in Dublin, and was educated first at TCD (BA 1988, MSc by thesis effectively 1991), where he also a maths scholar. His 1997 PhD from UT Austin on "The Cauchy Initial Value Problem for Yang-Mills Metrics" was done with Karen Uhlenbeck. His career has been spent at IT Tralee where he has supervised one PhD student. He helped to prove the Caratheodory Conjecture in classical surface theory, which had been unresolved for 80 years. 32. Meterologist Jean Byrne was born in Tarbert, Kerry, and was educated at TCD (BA, 1989). Her career has been spent in the Irish Met Service. 33. Robert Sheehy was born in Bandon, Cork, and was educated entirely at UCC (BSc 1991, MSc 1993, PhD 1994). His thesis on "Finite Groups with Few Automorphisms" was done with Des MacHale. Since that he has been on the staff at IT Tralee. 34. Pat Doody was born in Ballingarry, Limerick, and was educated at UL (BSc 1991, PhD 1997). 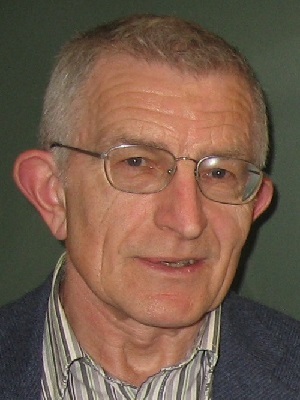 His thesis on "Bounding and Controlling the Generalisation Error in Feedforward Neural Networks" was done under John Kinsella. He has long been on the stats staff at IT Tralee. 35. 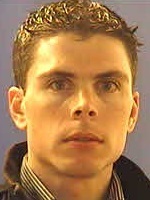 Oliver Mason was born 2 December in Kerry, and was educated at TCD (BA 1995, MA by research 1998) and Maynooth (PhD 2004). His doctorate on "Switched Systems, Convex Cones and Common Lyapunov Functions" was dome with Robert Shorten and Fiancre Ó Cairbre. Most of his career has been spent at Maynooth. His main areas of interest are systems and control theory, matrix theory, and the mathematics of data privacy. 36. 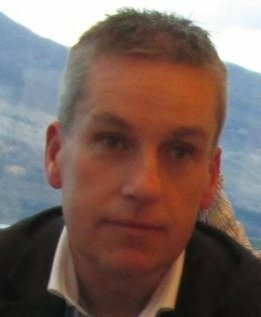 Brendan O'Sullivan was born 20 July in Kenmare, Kerry, and was educated at first at UCC (BSc, 1997, HDE, 1998, MEd, 2002, MA 2005). He has taught at various secondary schools in Kerry and Cork over the years, most recently at Davis College. His 2017 PhD from DCU on "An Analysis of Mathematical Tasks at Second-Level in Ireland" was done with Sinéad Breen and Ann O'Shea. He is currently national chairperson of the IMTA. 37. 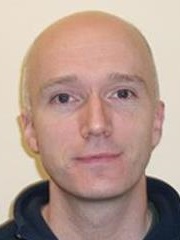 Statistician Seán Lacey was born 7 April in Tralee, Kerry, and was educated at UL (BA 2003, PhD 2007). His thesis on fluid dynamics was done with Eugene Belilov & Stephen B. O'Brien. He teaches at CIT, where he serves as lead statistician on clinical trial studies. He is also an avid competitive cyclist. 38. Ciara Lane was born in Brosna, Kerry, near the borders with Limerick and Cork. 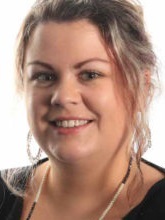 She was educated at UCC (BA 2007, PhD 2013), where her thesis on "An Investigation of Post-Primary Students' Images of Mathematics" was done with Martin Stynes, John O'Donoghue and Tom Carroll. She works at UL. 39. Jeremiah "JP" McCarthy was born Anascaul, Kerry, and was educated entirely at UCC (BSc 2008, MSc by thesis 2010, PhD 2017). His doctorate on "Random Walks on Finite Quantum Groups: Diaconis–Shahshahani Theory for Quantum Groups" was done with Stephen Wills. He teaches at CIT.